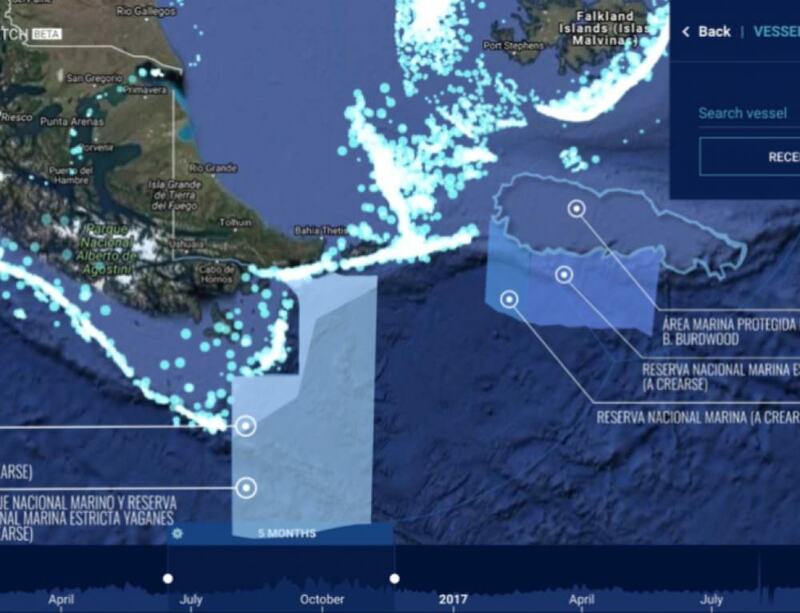 Commercial fishing is an important revenue source for Argentina, and the industry’s interests are strong, but the government is committed to protecting at least 10 percent of its territorial waters by 2020. 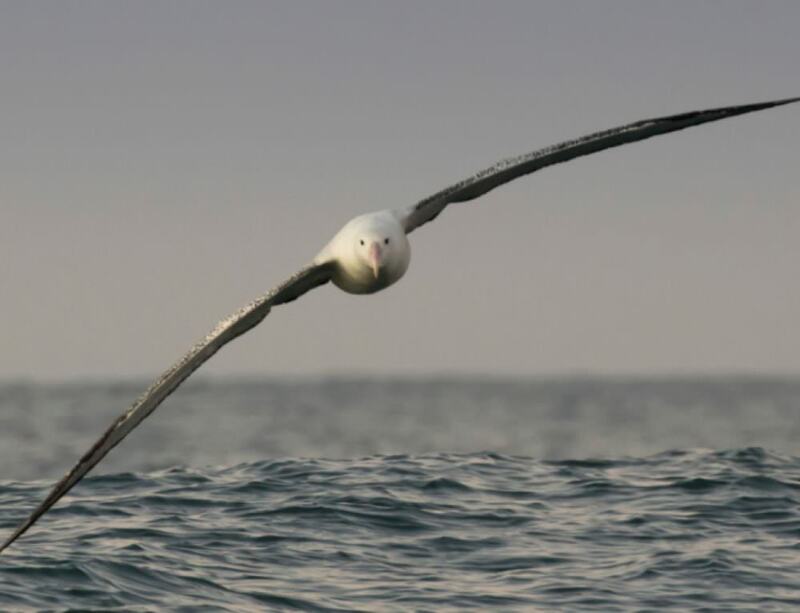 Although reconciling the need for Marine Protected Areas with the economic interests of the fishing industry can be challenging, Global Fishing Watch has proved to be an effective tool to facilitate negotiations amongst the different interested parties. To investigate these statements, the “No Blue, No Green” team turned to Global Fishing Watch. 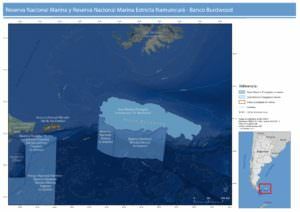 “We looked at the fishing activity within the future MPAs during 2016 and 2017,” said Martina Sasso, also from the “No Blue, No Green” movement, “and we discovered that very few vessels had fished in there.” The team overlayed the boundaries of the proposed MPAs into the Global Fishing Watch map and made a video that evidenced the reduced impact the MPAs would have for the fishing industry. 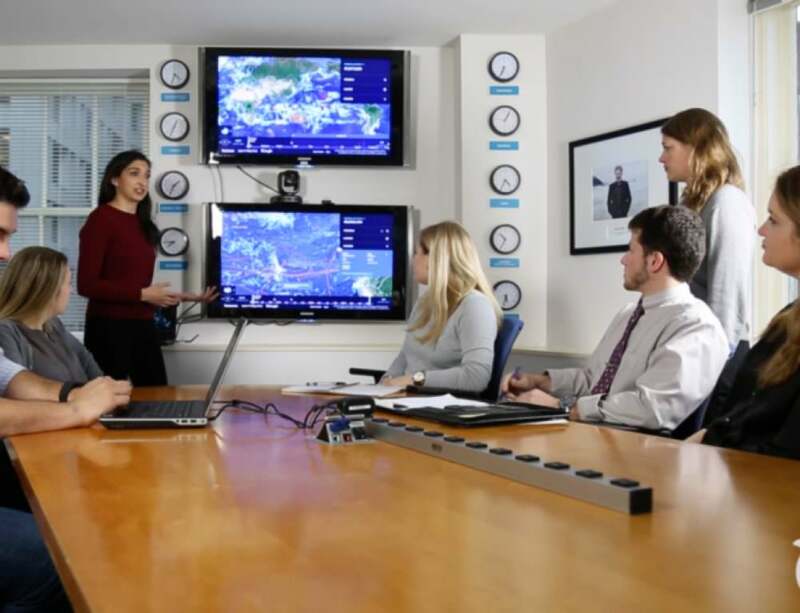 This video was crucial to convincing key stakeholders to announce the creation of MPAs. 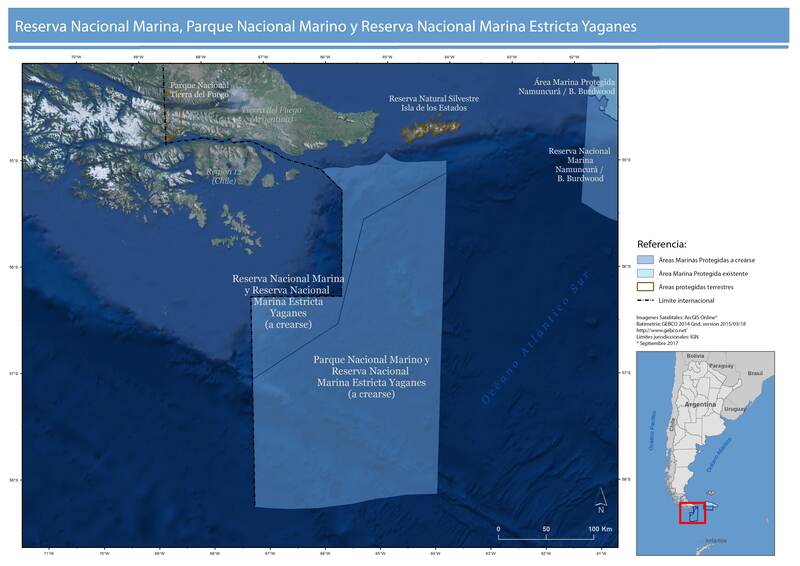 On the ecological side, the value and diversity of the area is supported by many years of research from scientists and NGOs from the Forum for the Conservation of the Patagonian Sea. The two new marine protected areas will comprise the 49,000 square kilometer Yaganes Marine National Park, which lies just south of the southern tip of Argentina, and the 29,000 square kilometer Namuncurá-Burdwood Bank II Marine National Park which is an expansion of an already existing MPA and lies about 500 Kilometers south of Islas Malvinas. 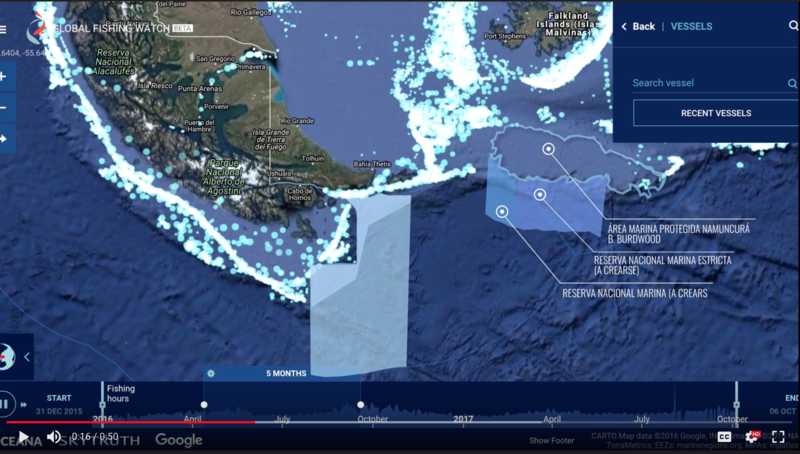 The “No Blue, No Green” team intends to embed the Global Fishing Watch map into their website so that Argentinians can become more aware of the fishing activity within their waters and hold their government accountable for protecting the new MPAs.